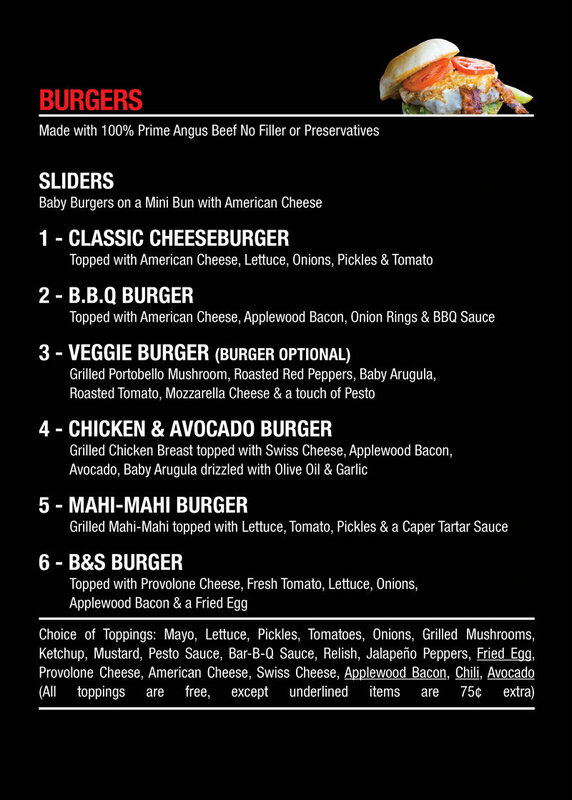 ***** Burgers & Shakes, 7401 Collins Avenue, Miami Beach, Florida 33141, (305) 866-1145. For our purposes we’re gonna call Burgers & Shakes “an out of sight, out of mind” fast food burger joint! Real simple story, Jeffiut Eats first told you guys about Burgers & Shakes way-back on 6/18/14, truth be told, hadn’t been back since! Just between you guys and Jeff Eats, 7401 Collins Avenue isn’t even remotely close to Jeff Eats’ Boca Raton abode- thus the “an out of sight, out of mind” handle! 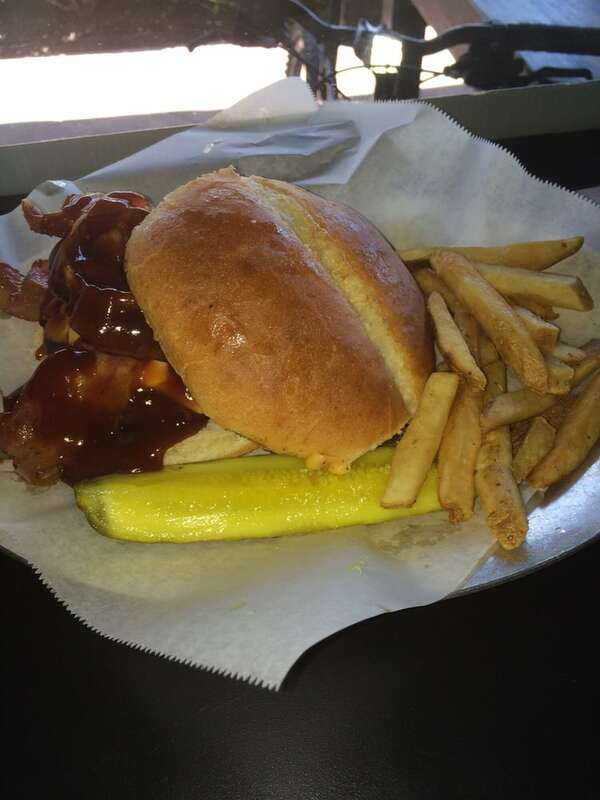 Last night, Jeff Eats and Mrs. Jeff Eats did dinner at Burgers & Shakes and like it did in 2014, the joint’s food, pleasant service, reasonable prices-blew us away! 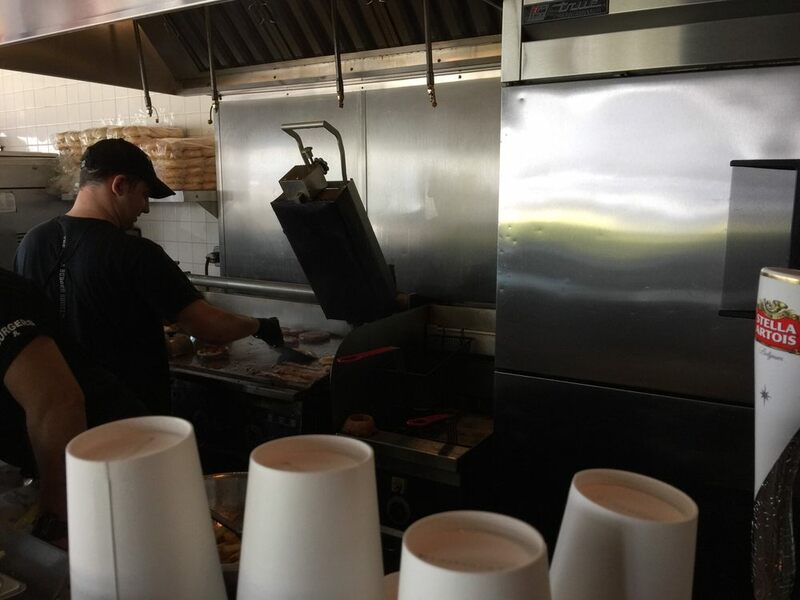 Delicious flat top grilled hamburgers/ French fries/ onion rings/ shakes, order-pickup at the counter, inside and outside seating. Trust Jeff Eats on this one, if you like hamburgers, French fries, onion rings, shakes- you’re gonna like Burgers & Shakes! 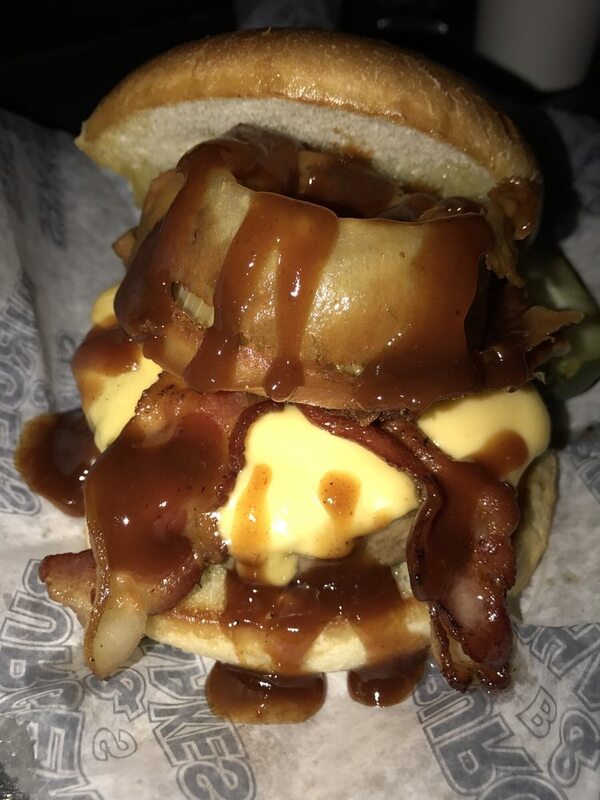 For you guys not into hamburgers, French fries, onion rings, shakes- the joint has a real good handful of other “stuff” so there’s no way- that your’e gonna starve! By the way, Burgers & Shakes is absolutely perfect for the night owl crowd, as it’s open 7 days a week 11am-4am! 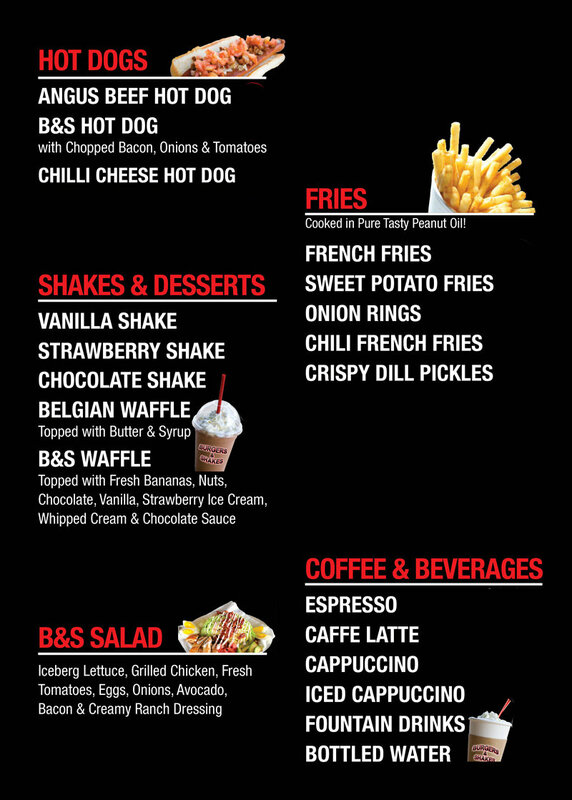 You can check menu/info at burgers-and-shakes.com. Hole in the wall fast food hamburger- joint. Very limited indoor/outdoor seating. Order/pickup at counter. 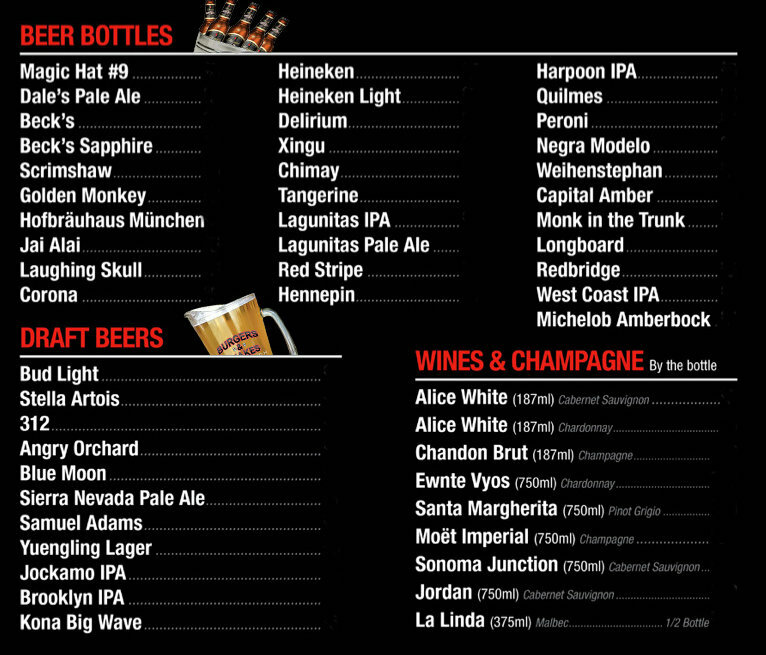 Handful of wines, 11 beers on tap/30 or so bottled. For some reason, today- everybody plays Albert Einstein when it comes to hamburgers. This was too fatty, this was too pink, this was too soft. Enough with the TOOs…trust Jeff Eats on this one, there is way too much analyzing going on. 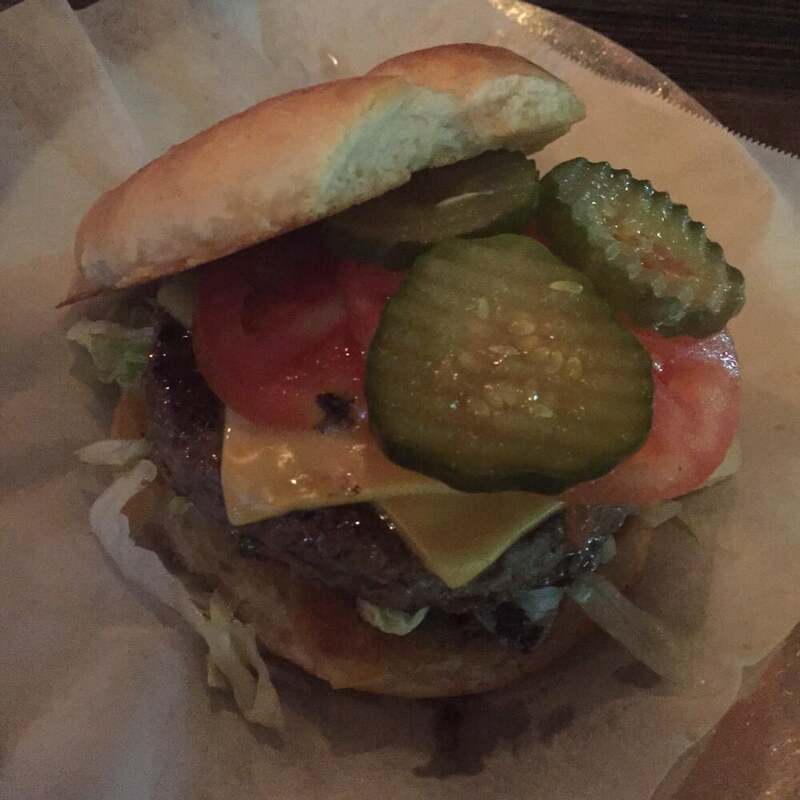 To tell you the truth, I can’t recall the last time I had a burger that was so bad, that Jeff Eats didn’t finish it. 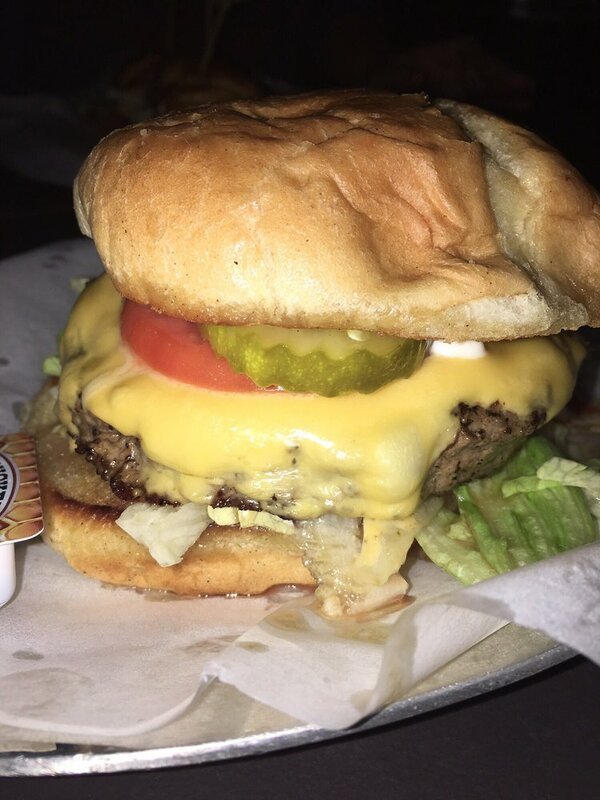 For sure, some burgers are better than other burgers-but like 6 degrees of separation they are all kinda related. Absolutely loved Burgers & Shakes’ flat top grilled cheeseburger, french fries, hot dog, onion rings and chocolate shake. Not much more to tell you other than the joint is open 11am-4am 7days a week, plays classic rock and its website is www.burgers-and-shakes.com. 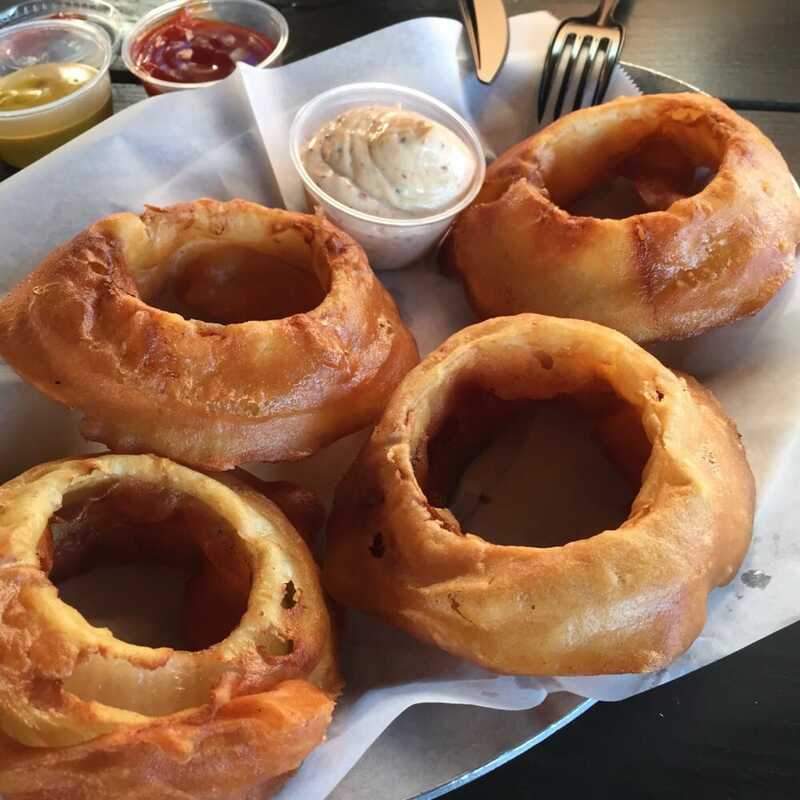 Looks good but those onion rings look GREAT! The next time I’m in the area I’m definitely going to try this joint.